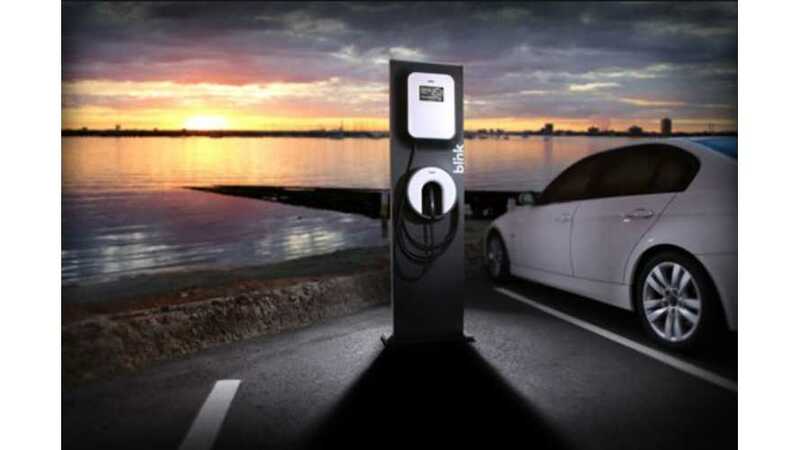 CarCharging Lost $5.60 Per Every kWh Delivered In Q2 2014? CarCharging recently released second quarter results, which indicate growth of almost everything thanks to the acquisition of the Ecotality network this past October. 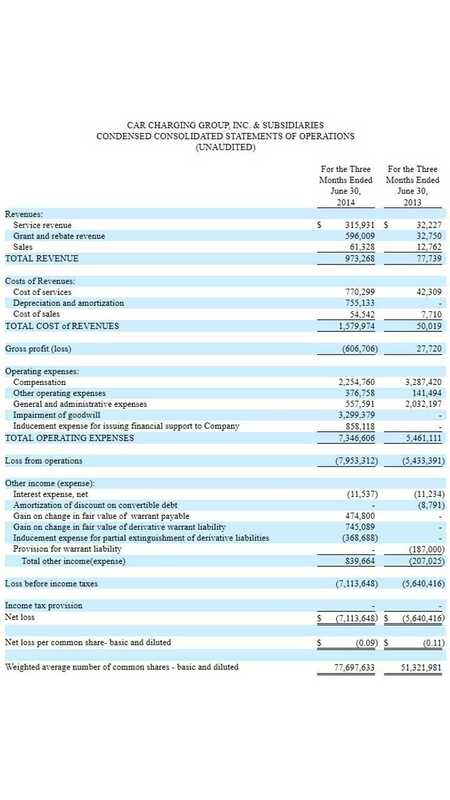 Revenues increased year-over-year by 1,152% to $973,268, however EV charging service revenues stand at $315,931 (up by 8,803%). Net losses increased, to $7,113,648 (although less on a net per share basis), which divided by 422,206 kWh delivered a month bring average loss per kWh to $5.60 (ouch). Compared to the average price of electricity in the US of 10 to 15 cents, this result looks not so great. Monthly kilowatt-hour (kWh) charging output rose compared to Q2 2013 several times from 50,324 kWh to 422,206 kWh. Total revenue increased by 1,152% to $973,268 for the second quarter of 2014 as compared to $77,739 in the same period of the prior year. Revenue for EV charging services rose by 8,803% to $315,931 in the second quarter of 2014, compared to $32,227 for second quarter of 2013. Net loss per common share decreased 18% to $(0.09) from $(0.11) in the second quarter of 2013. Increased monthly kilowatt-hour (kWh) charging output by 7,390% to 422,206 at the end of the second quarter 2014 from 50,324 at the end of the comparable period in 2013. 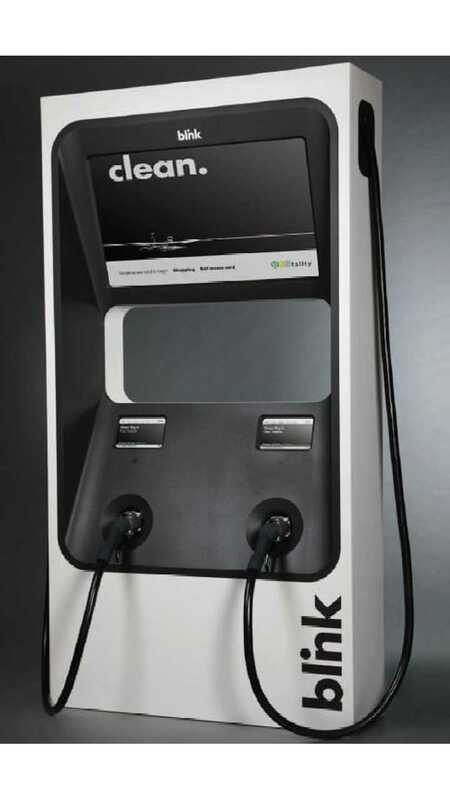 Of the more than 4,600 Blink Level 2 public commercial charging stations installed, 63% of these are generating revenue for EV charging services, and of the 113 Blink DC Fast Chargers installed, 81% are generating revenue for EV charging services. "The second quarter of 2014 demonstrated continued positive progress for CarCharging as we further executed our growth strategy in key geographic markets across North America and converted contracts with large retailers, parking management firms, and property owners from ECOtality to CarCharging. Higher usage trends and increasing demand by consumers positions us for accelerated top line growth going forward. We anticipate strengthening revenue through participating in programs, such as Nissan's 'No Charge to Charge', adjusting our pricing policies, and introducing new network features."